Wondering where to head after you’ve tied the knot? Viaventure designs honeymoon trips in Central America that are fully tailored to your taste. Tell us what you want (perhaps an empty stretch of beach, a romantic colonial city, or a wild jungle adventure), and we’ll arrange it while also adding unique touches, like horse-drawn carriage rides, private dinners, and scenic helicopter transfers, that make for lasting memories. Of course, our specialists ensure you’re booked at the perfect properties, too—hotels designed specifically with romance in mind. For a taste of what’s on offer, check out a few of our favorites here, and then let’s chat. Your dream honeymoon awaits. With its bougainvillea-strewn ruins, colonial-style homes, cobblestone streets, and dramatic volcano backdrop, the city of Antigua does romance with ease. 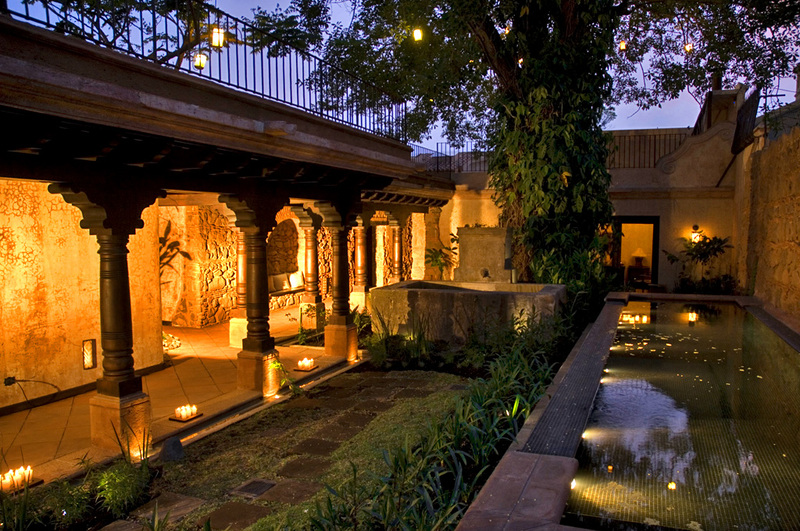 Visiting newlyweds should book a stay at El Convento Boutique Hotel, just blocks from the city’s central plaza. Here, stone, cedar, and brick architecture combines with eclectic antiques and a muted color palette to create a refined setting that’s perfect for relaxing with a glass of good wine. (The hotel has a well-stocked cellar.) There are 25 uniquely outfitted suites, some with plush king-size beds, private terraces with hot tubs, fireplaces, skylights, or spa-like bathrooms. (The Bella Época suite is a favorite with honeymooners.) The rooftop lounge has an outdoor fireplace and offers stellar city and volcano views. Special add-ons: Private dinners by candlelight, a rose petal-decorated room, a horse-drawn carriage ride around Antigua, and more. If you’re looking for the ultimate in secluded, tropical escapes, look no farther. Accessed by speedboat only, El Secreto sits on a palm-studded, private stretch of pristine beach at the mellow northern end of Ambergris Caye. 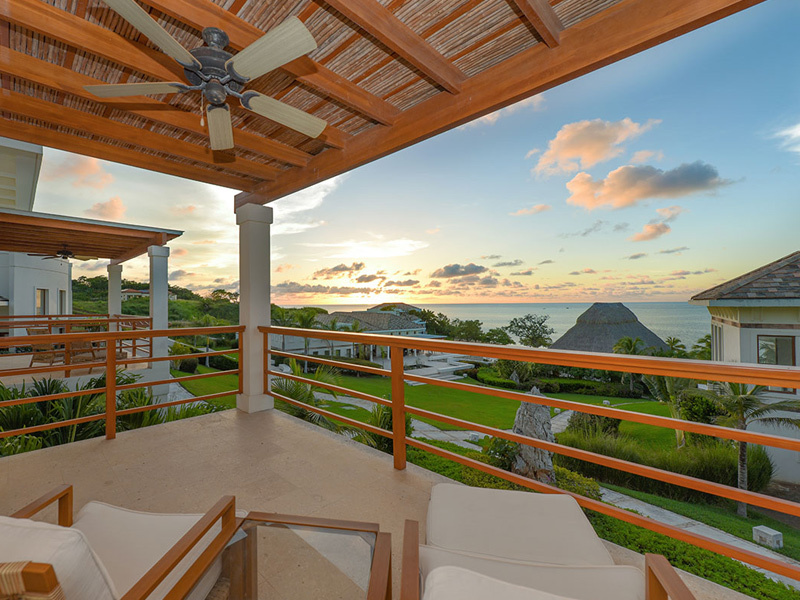 Its sandy, tropical grounds boast 13 thatched-roof villas with private plunge pools, outdoor showers, and über-chic interiors: You’ll find rich hardwoods, fine marble finishes, big bathrooms with Malin+Goetz products, and state-of-the-art technology. (An iPhone lets you program the music, TV, air-conditioning, and lighting with a few quick taps.) Honeymooners should opt for an ocean-side Sea Villa or the Spa Villa, with its own steam room and massage cabin. El Secreto’s infinity-edge pool, replete with over-water hammocks, boasts one of the best views on Ambergris and sits just steps away from a giant thatched-roof palapa with a breezy open-air restaurant and bar—the coconut mojito is a must. Special add-ons: Private romantic dinners, couples’ massages, a helicopter tour over the famous Blue Hole, and more. 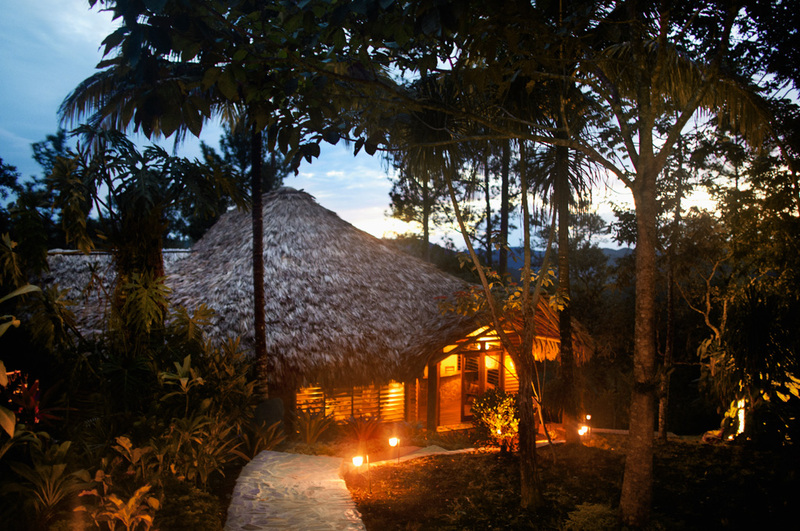 Located deep in Belize’s rugged Mountain Pine Ridge Forest Reserve, Gaïa Riverlodge (the sister property to Matachica on Ambergris Caye) sits atop a tall ridge overlooking the Five Sisters waterfalls and a valley of bird-flecked Caribbean pines. The beautifully landscaped property abounds with tropical, Technicolor flora and comprises 16 exquisite thatch-roof cabanas with panoramic windows, mahogany interiors, and fantastic beds; ceilings fans and a seemingly ever-present breeze are all you need to stay cool. Each bathroom is unique and decorated with bright, hand-painted Mexican tiles. Follow a long series of stone steps or take the hydro-powered tram to the falls for an invigorating dip or to relax on Gaïa’s small, sandy island replete with shaded hammocks. 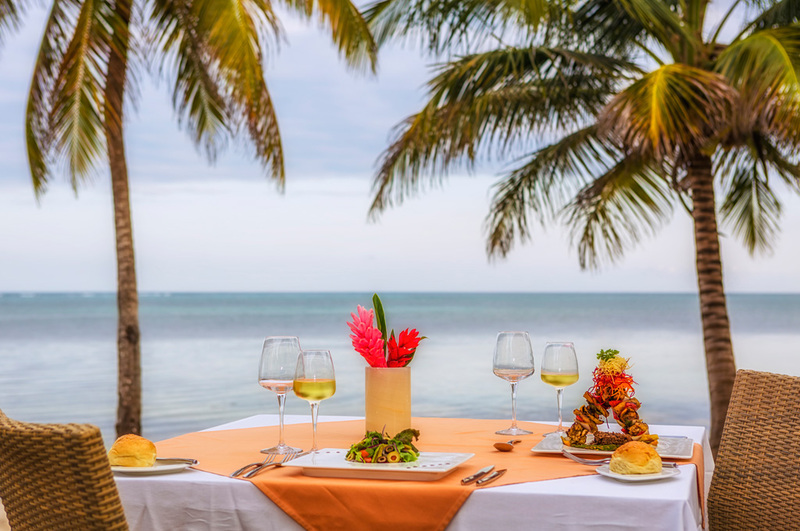 Back up on the ridge, the lodge’s restaurant features an expansive wrap-around verandah with dramatic views, a menu of delicious Belizean fare, and dangerously good drinks. Special add-ons: Champagne upon arrival, a luxury picnic at the Caracol ruins, and more. 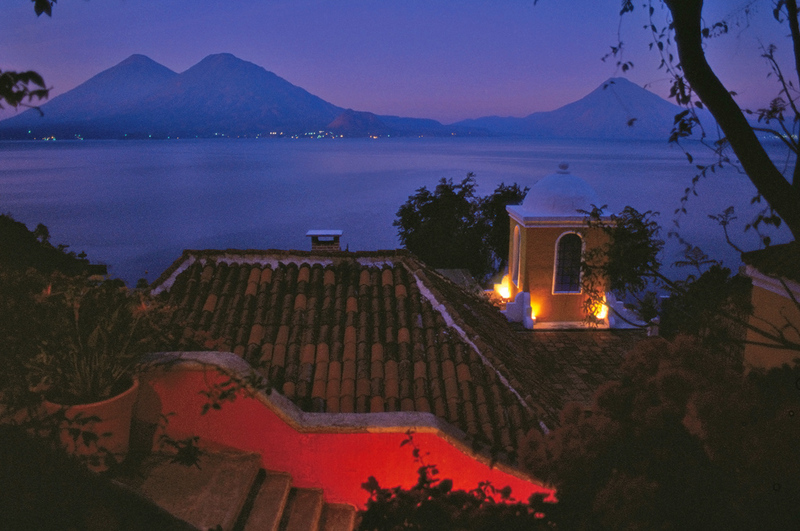 Hidden in the hills above Guatemala’s famed Lake Atitlán, Casa Palopó is a quiet, luxury retreat with seven accommodations and phenomenal views. Originally a private home, it was converted into a boutique hotel in 2000 and outfitted with contemporary and indigenous Guatemalan artwork, a solar-heated pool, and a rustic-chic restaurant. Rooms feature wood beams, softly colored walls, cool Italian linens, and private terraces that overlook the lake and its three towering volcanoes. A lovely pick for honeymooners, Santa Catarina is the master suite and features iris-blue walls, antique furnishings, and an oversize bathroom; its spacious terrace is just the right size for sunset cocktails and dinner. Offering even more privacy, a villa some cobblestone steps above the hotel features floor-to-ceiling windows, a fireplace, and butler service. Special add-ons: A couples’ blessing with a local Maya shaman (spiritual leader), a private helicopter charter to and from the hotel, and more. Once a mecca for pirates, today’s Bay Islands of Honduras are home to quiet fishing villages, tangled mangroves, vast stretches of white-sand beach, and clear Caribbean waters. Roatán is the largest and most popular of the isles and now boasts one of the area’s top hotels, too. Las Verandas opened with six villas in early 2013 and will expand to 30 villas and 60 luxury rooms in all. The air-conditioned accommodations are modern, with Honduran mahogany accents, extra-large windows, and sleek, oversize bathrooms; some also have a full kitchen, vaulted ceiling, and private pool that offers romantic sunset views over the ocean and beach. Around its well-manicured grounds, guests will find a restaurant, two infinity-edge pools, and Roatán’s first (and only) championship golf course, designed by Pete and Perry Dye, called The Black Pearl. A full-service spa is forthcoming. Special add-ons: Champagne upon arrival, couples’ massages, a submarine excursion along the reef, and more.